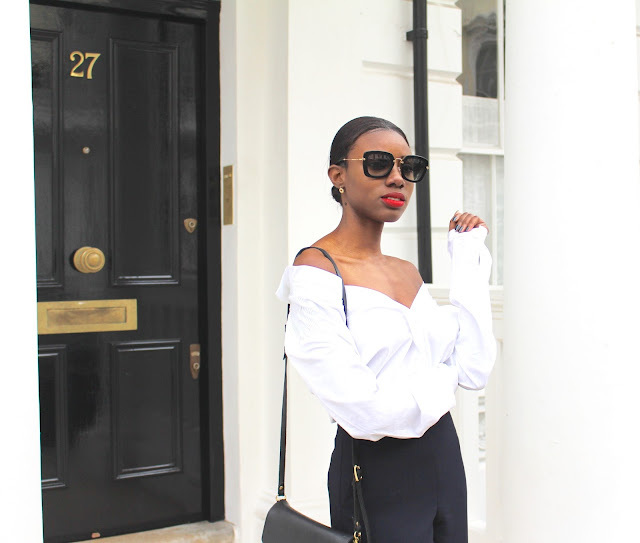 As many of you know, the off the shoulder/Bardot style is one of the biggest trends in fashion at the moment. 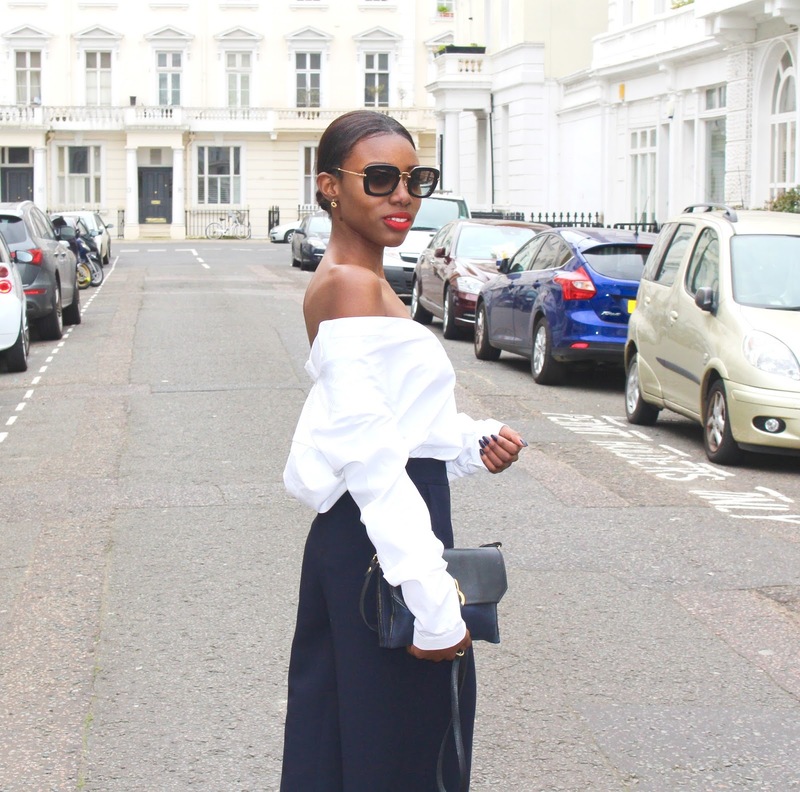 The off the shoulder style was very prominent last season season and it looks like it is here to stay for SS16 also. 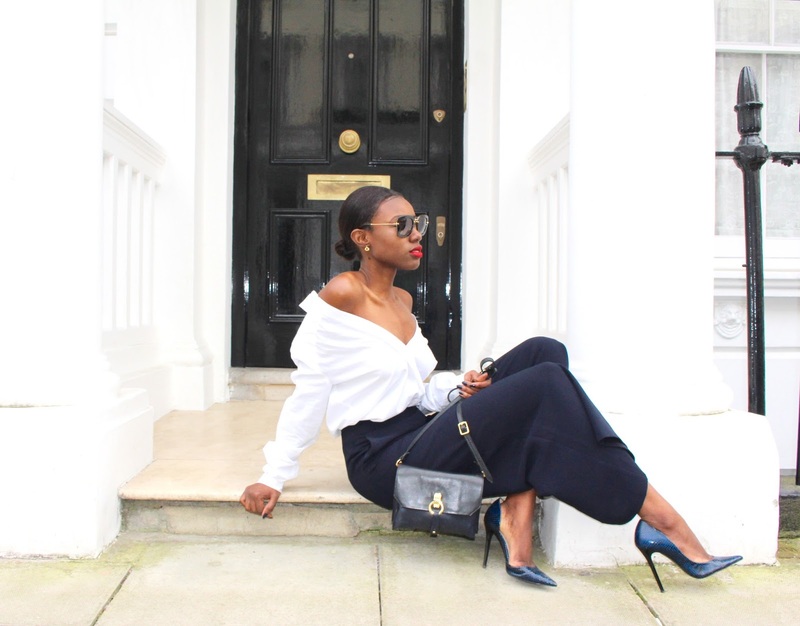 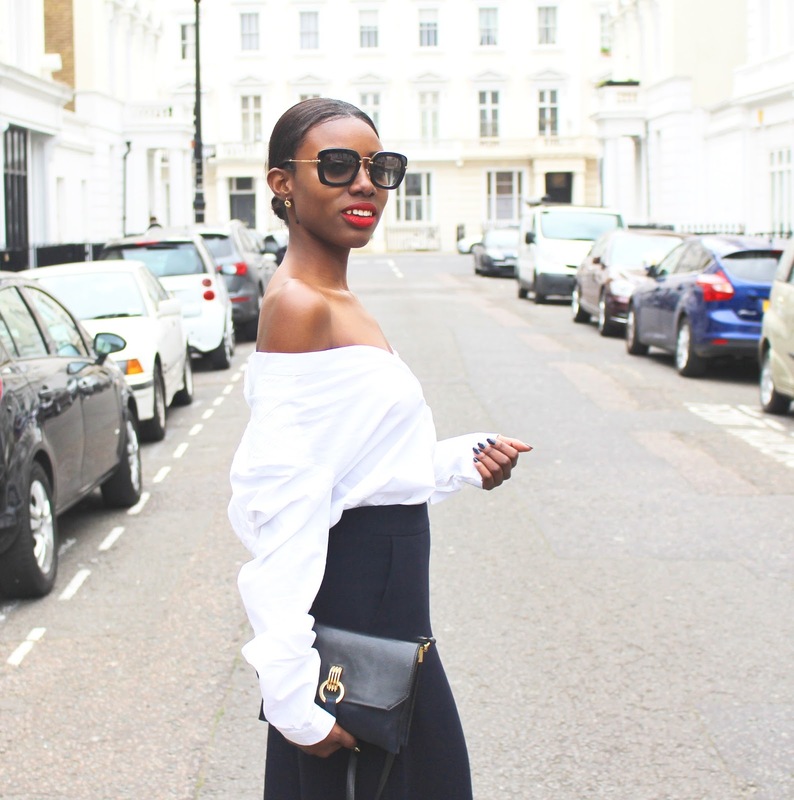 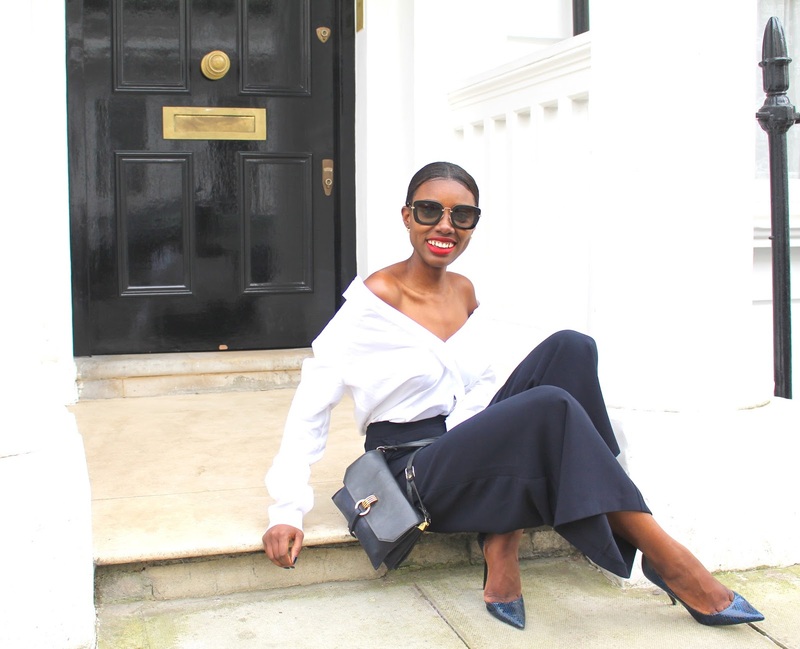 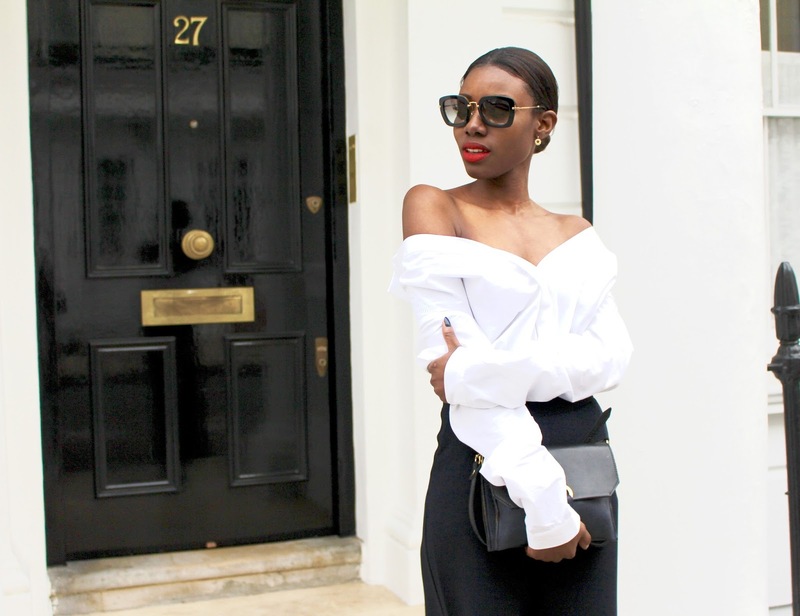 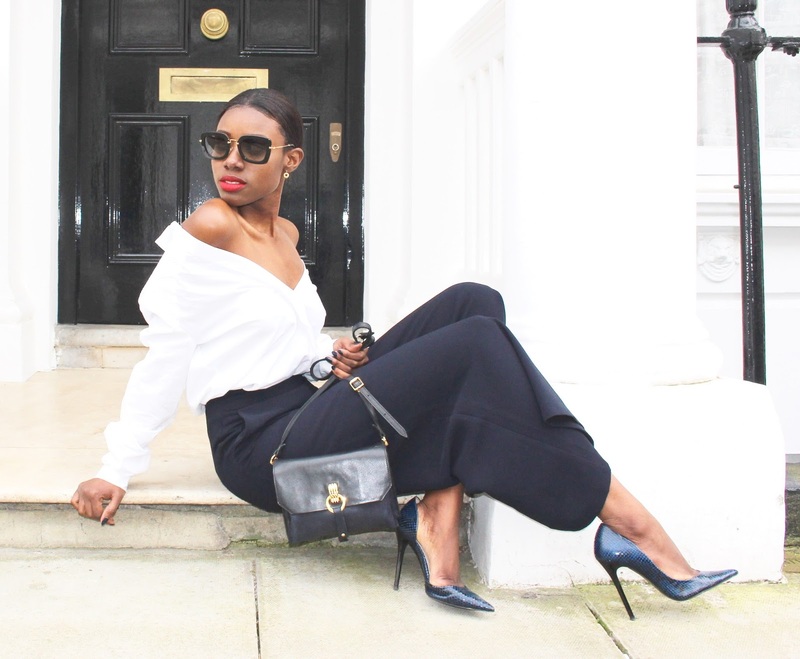 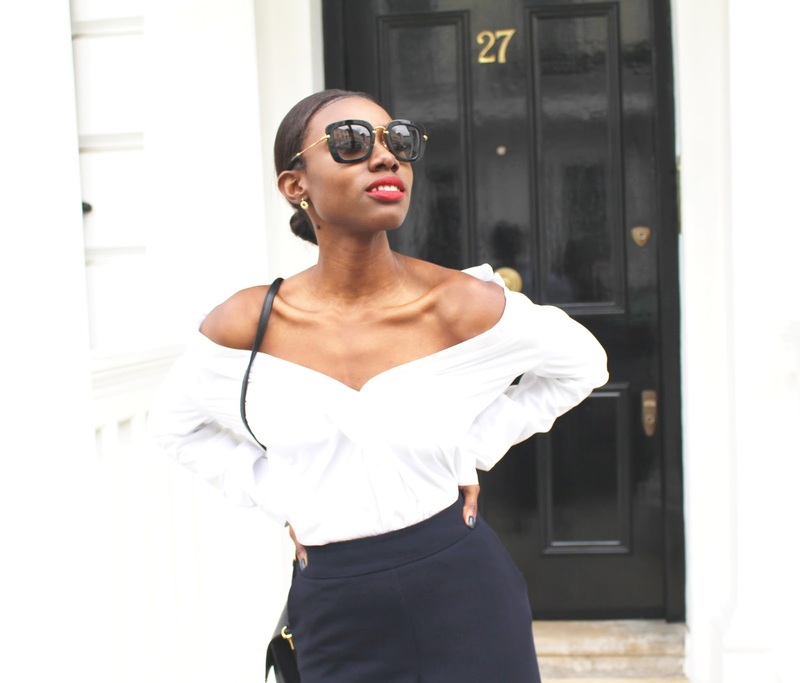 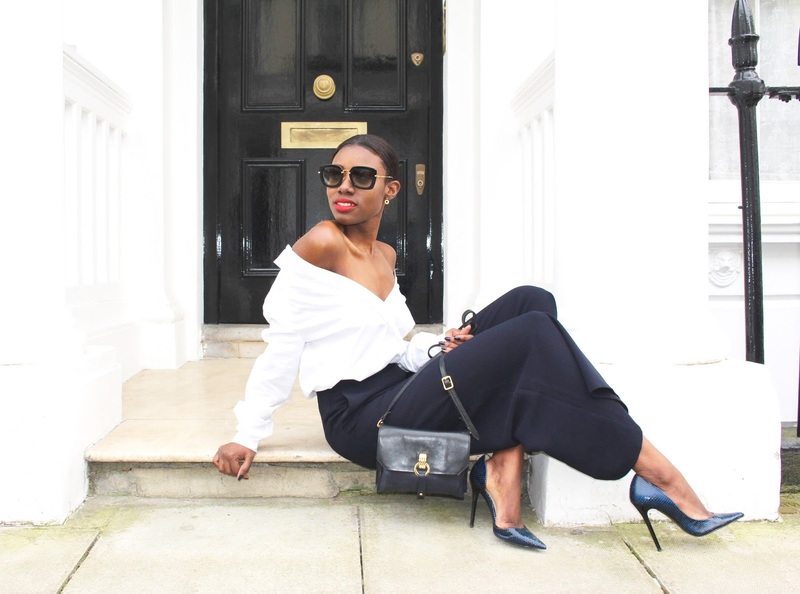 While you can head out to the shops to buy yourself an on trend off the shoulder top, you can also create your very own off the shoulder style with a standard shirt using a bit of DIY styling. To achieve the above look, I got hold of a standard white cotton shirt that I had, I then left the first few buttons undone and buttoned up the shirt half way to the end. 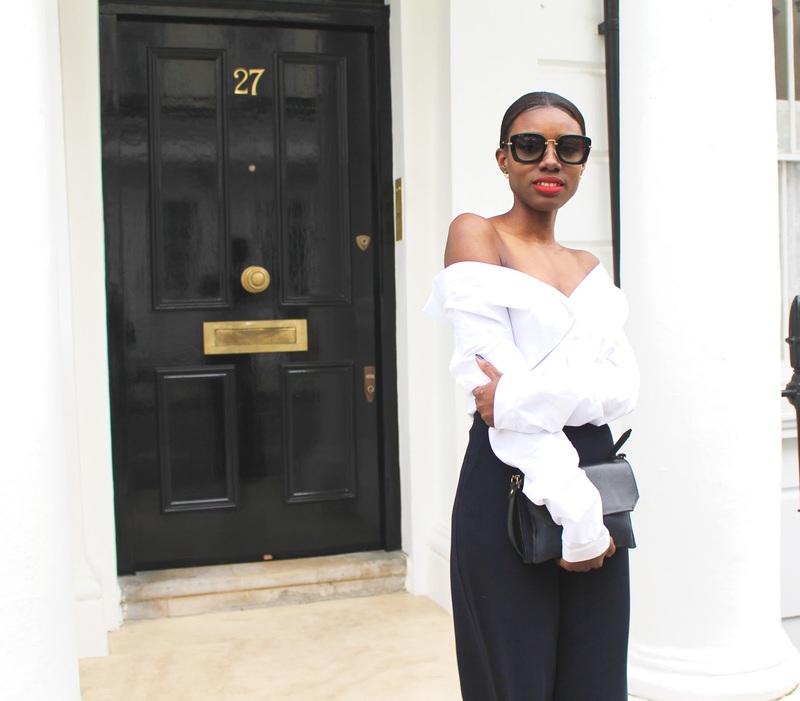 Then I quite simply slipped it off my shoulders with the buttoned up sections acting as a resistance to the entire top falling off my body and exposing my breasts. 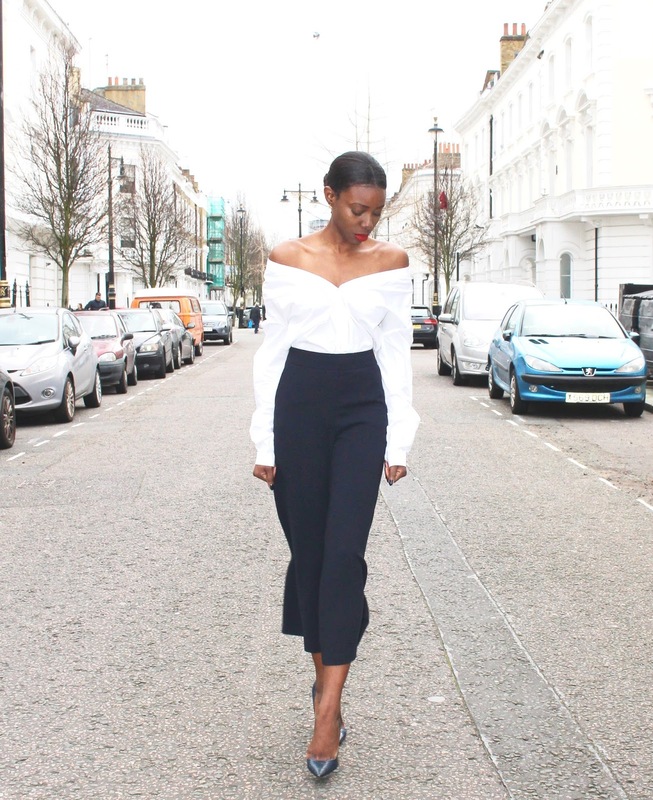 It is worth considering that this DIY styling trick only works best with firm fabric types like cotton which can withhold sitting off your shoulder unlike fabric types such as satin, silk which is more likely to slip off your body's frame. 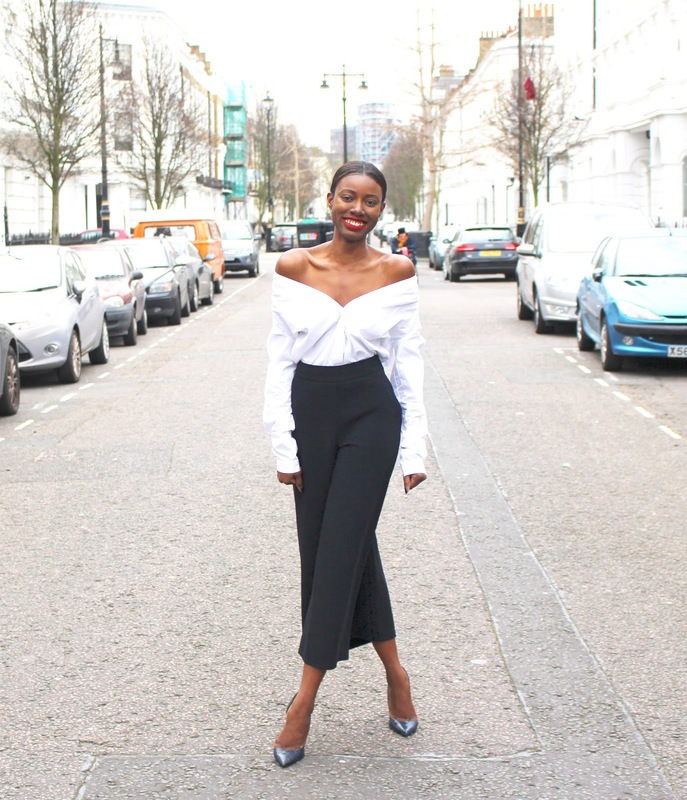 Once you have achieved your DIY off the shoulder top, you can now pair it with a separate, either a skirt or a pair of trousers. 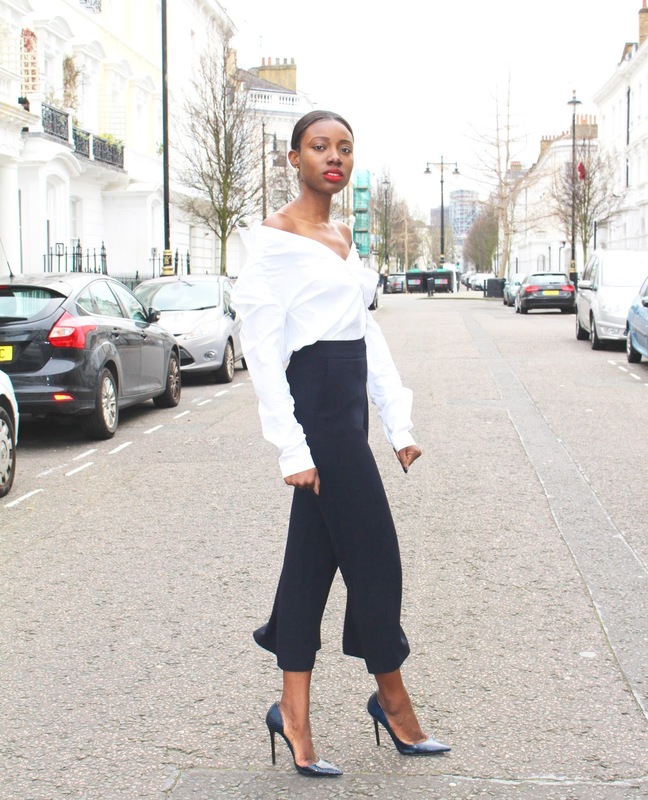 I chose to pair mine with a pair of culottes I picked up from H&M a little while ago. 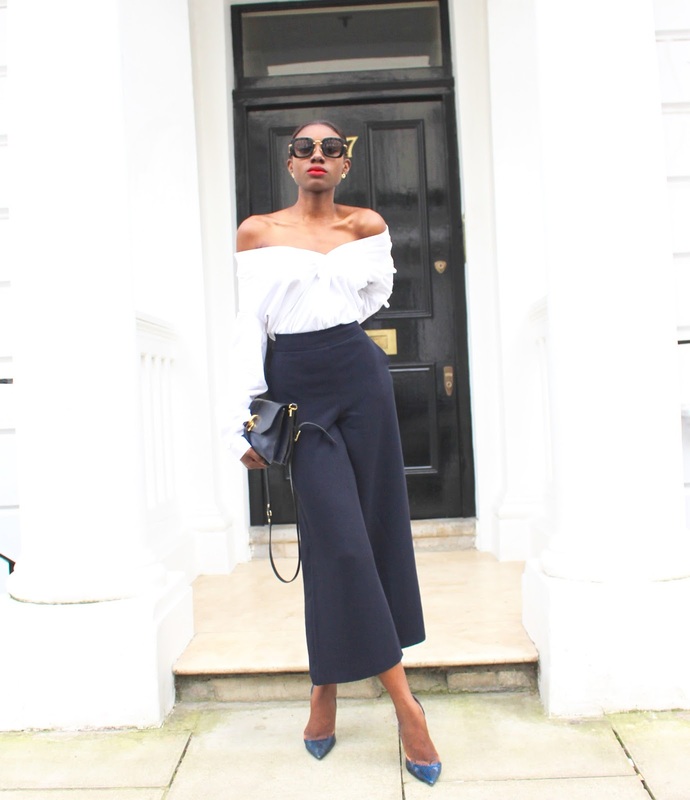 Unfortunately it is now sold out but I placed the link to a similar pair down below if you want to recreate this look.